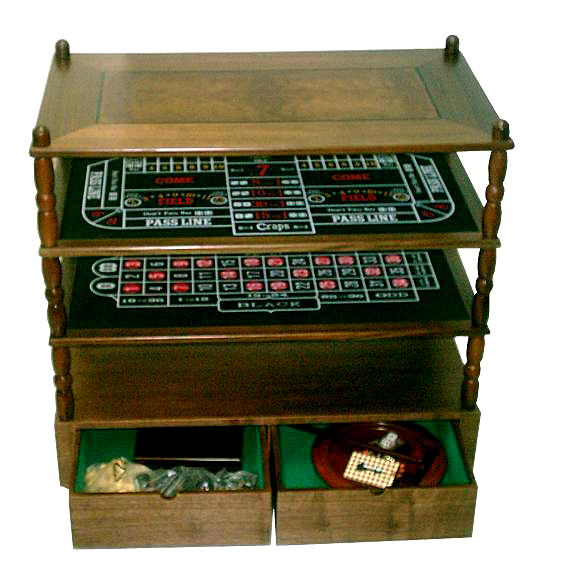 Deluxe, Nine In One Combination Game Table. TA023-9029. Nine In One Combination Game Table Set. Our nine in one game table includes everything you need for endless hours of fun! This fabolouse table game set includes chess, checkers, backgammon, cribbage, tic tac toe, straight mill, craps, roulette, and black jack. The table measurements are 30 3/4" x 28 1/2" x 17 3/4".